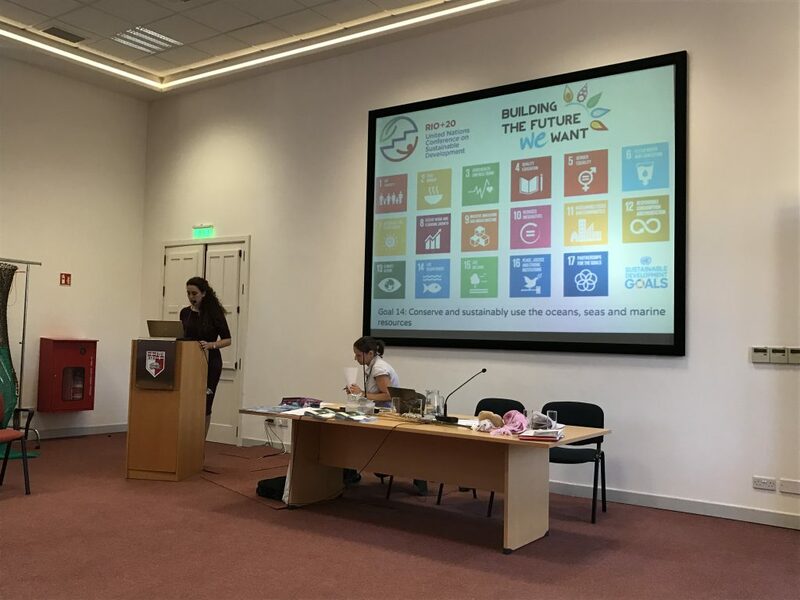 TBTI post-doctoral fellow, Alicia Said, presented on 'Ocean literacy through transdisciplinarity: A roadmap to sustainability' at the 5th edition of the European Marine Science Educators Association (EMSEA) that took place in Malta from 7-10 October 2017. In this presentation, she explained that the 'Transdisciplinarity for Fisheries' (TD) has been developed by TBTI as an innovative research and training strategy with the aim of configuring and propelling a new mindset towards sustainable resource governance. TD framework contributes to ocean literacy not only through the provision of research and knowledge but also as a mechanism that provides the adequate tools to address complex issues inherent to natural resource governance and ultimately seek societal transformation. During this week, Alicia also attended a workshop on 'Blue Growth' that was organized by the Coalition for Fair Fisheries Arrangements (CFFA), the African Confederation of Artisanal Fishing Organisations (CAOPA), and the Swedish Society for Nature Conservation (SSNC). The aim of the workshop, which was attended by FAO delegates, African and European fishers organizations as well as invited experts, was to present the views of fishing communities who see their livelihoods threatened by the development of mass tourism, port infrastructure development, MPAs, aquaculture and other uses of the seas. A common concern voiced throughout the workshop was the fact that fishers are overlooked in the decision-making process and thus need to be better recognized in the blue growth strategies that are being envisioned in various countries.